manganese "manganese deposits" "manganese minerals" "manganese ores" "Mn deposits"
Manganese is the ninth or tenth most abundant element in the Earth’s crust . Most of its industrial use is in steel making with a much lesser amount going into the production of batteries. It is very similar to iron in its chemical properties. For example both are commonly found in +2 and +3 valences with high spin states for the 3d electrons and with similar ionic radii. Mn2+ is 0.83 and Fe2+ is 0.78 Å, while the +3 ions are 0.70 and 0.65 Å. Accordingly, Mn is commonly found substituted in small amounts in Fe minerals. Mn, however, also has access to a higher valence state, +4, which gives rise to a plethora of complex Mn oxide minerals that do not have Fe counterparts. On the other hand, Mn sulfides are quite rare compared to their Fe cousins. The net result is a partitioning of Mn from Fe in geochemical systems towards areas of higher oxidation potential. Manganese ores can be carbonates, usually rhodochrosite but sometimes kutnahorite, or various silicates and oxides, the most common being braunite, bixbyite, and hausmannite [see table of common minerals]. The carbonates carry useful isotope signals for C and O [see stable isotopes of Mn deposits]. The Paleoproterozoic peak is by far the largest and corresponds in time to the major episode of Banded Iron Formation deposition. 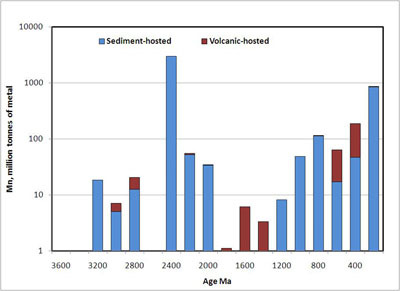 Iron formation is also a common companion for the Neoproterozoic Mn deposits, but the Cenozoic peak, largely confined to the Oligocene, has no associated Fe mineralization. 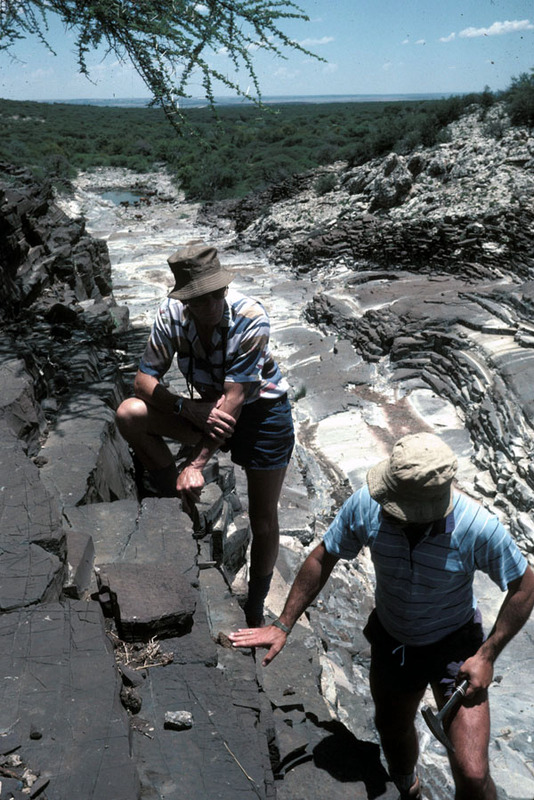 The largest volume of Paleoproterozoic Mn is in the Kalahari region of South Africa. 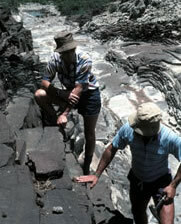 The largest Neoproterozoic deposit is in Brazil with many smaller deposits ocurring in China. The Oligocene deposits are centered around the Black Sea.